The Indian Motor Vehicles Act makes it compulsory to wear a BIS standard helmet when riding a two wheeler. It has been proven that wearing a standard helmet can reduce the risk of fatality by 40% and severe injury by 70%. 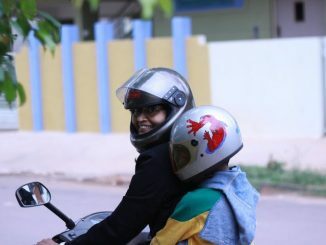 Yet 70–80% of the helmets sold in the country are spurious. Bengaluru Traffic Police recently decided to make driving safer for two wheeler riders by insisting they wear ISI branded helmets only. Campaigns were launched and repeated reminders were published in the newpapers leading up to the roll out date of 1 Feb 2018. Then came the U-Turn, the enforcement was withdrawn citing inability of the police to verify the helmets. A report states that BIS in its reply to a letter written by Additional Commissioner of Police (Traffic) R. Hithendra, to them seeking clarification on helmets conforming to their standards, stated that the conformance of helmets to Indian standards cannot be assessed through a visual examination, following which the police have decided to abort their drive. This raises many questions. The ISI mark on the helmet should clearly state the conformance to IS:4151 which is a comprehensive test to verify the strength and safety of the helmet followed by a CM/L license number below the mark issued to the production unit. While the license number needs a look up, there is no reason to believe that the IS number cannot be a proof of safety of the helmet by visual inspection. Unless, the mark is a fake. Currently anyone can make an ISI sticker as it is not tamperproof. Why is the safety of a private good like a helmet important to be chased like this and ISI made mandatory? If someone chooses to buy an inferior helmet knowing fully well his chances of dying are 60% higher isn’t it his choice? In 2016, 35% of the 1.42 lakh accidents, in India, were two-wheeler deaths. 68% of the deaths were of the 18–45 age group. This age group leaves behind dependents, some of whom end up on state support, apart from a loss of productive labour force. Lets look at the opportunity costs. 30% of the organised market, across India, is worth Rs. 600 Crore. At same levels, the rest 70% of the spurious market is a loss of Rs. 1400 crore. 33,796 deaths, in the 18–45 age group, annually at a percapita GDP or $1990 cause a loss of Rs 437 crore in GDP annually for the country. The cost of supporting 4 dependents each with education and health at Rs. 4636 annually per capita works out to an additional Rs 15.6 crore to Karnataka alone. Does the social cost of not wearing ISI helmets justify the cost of making tamper proof helmets? How do we incentivise the change at the margins? Manufacturers need to move to a machine readable ISI stamping. 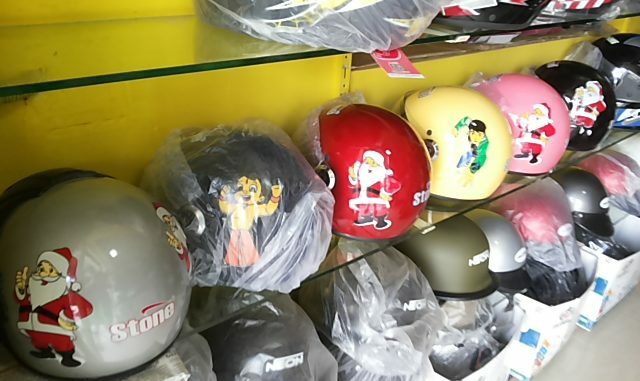 For consumers ISI branded helmets need to carry better insurance premiums. All India only 7% of drivers wear helmet. Enforcement can strive to increase this number and weed out hard hats instead of chasing ISI mark. Sathya Sankaran is a founding member of Praja-Raag, a Bengaluru-based citizen group. 1. When you state cost, does the state actually support people with any welfare when they lose the primary bread-winner to accidents? 2. Why can’t Police weed this out at the manufacturer/seller level. There are enough people selling such hard-hat helmets on the roadside, sometimes right next to the police. This is also the question I had with defective silencers. Being an RE owner, I know where these silencers can be found, even some showrooms sell them (illegally). But the Police does not want to go after them, or even talk to them. It surely can’t be that it’s legal to sell something, but illegal to use that thing? Thank for bringing this Topic – Everyone in this country are wearing crown of the own design made in Market. Firstly Why Non ISI helmets are sold and who is governing these manufactures. Just to give business within TOP level Helmets were made compulsory and now co- rider, do you think India firstly needs Helmets where the traffic hipe is so much that you cannot travel at 20KM speed due to back roads – Primarily to loot money from normal citizen Big players are paying to Politicians without Proper Guidelines and safety measures.